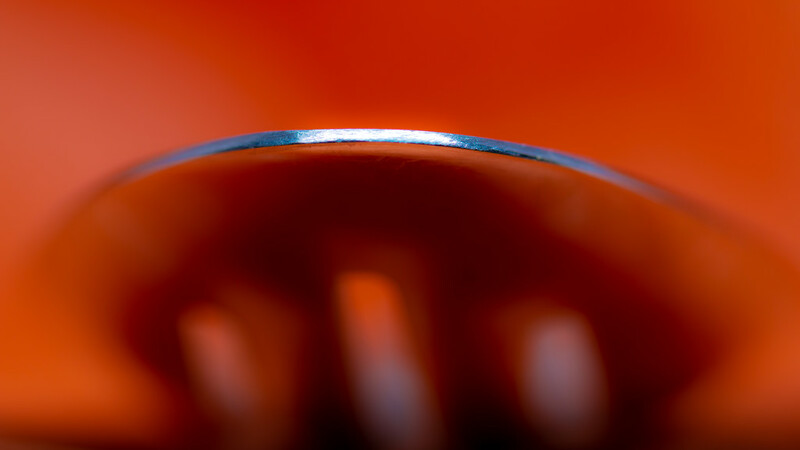 another orange macro kitchen object... 2 weeks and counting! You're brilliant! And I can picture how it would have looked if you'd BnW- ed it. Very cool focus and splash of orange - and you've created such a consistent month. lovely curved shiny edge on that utensil.